Slim and lightweight, the vintage Newton found targets fast and Tamar certainly appreciated its modest recoil. A red sun was kissing Namibia’s dunes when the wildebeest ghosted past one-quarter mile away. Last chance. Bush to bush, I reeled them in to iron sight range. Strung out in diminishing cover, the animals could see everywhere. The wind was perverse. A snort, and all stopped, staring. Prone behind a lattice of twigs, I slid the barrel ahead, aimed and squeezed. “Crraack!” The herd left a yellow veil of dust. Barry Fisher’s original .256 Newton rifle went afield in Africa with handloaded Hornady Spire Points. The trail was short and scarlet. The cow had died in mid-gallop, lungs pulped. I gave thanks and laid the Newton against her ribs. A 129-gr. softpoint from a century-old cartridge might seem marginal for a beast with the bulk of an elk but this was the second wildebeest of the week felled by the .256 Newton. Tamar had also used it on plains game. It was her father’s rifle, a rare original Newton. Only the Williams aperture didn’t match. “You can make brass,” I replied. “And I have load data.” But in the end it would be her father, Barry Fisher, and her brothers, who convinced Tamar. Barry came up with once-fired Newton brass. Hodgdon powder and Hornady Spire Points on the bench, Tamar chugged out handloads. At the range she shot near-minute groups. While getting within iron-sight range of game in Namibia, Tamar and her PH got reacquainted with sand. Although Western began loading .256 Newton ammo in 1921, the cartridge began as wildcat in an era that would produce many. “Wildcat” may first have been applied to rifle cartridges early in the smokeless era. Shooters of experimental bent saw the .30-40 Krag and .30-06 as raw material. They reformed cases and handloaded ammunition to fire in re-barreled military rifles on the block at fire-sale prices. Charles Newton was one such experimenter. Born in Delavan, New York in 1870, he labored on his father’s farm until finishing school at age 16. He later studied law and was admitted to the state bar. After six years in the New York National Guard, Newton left legal practice to design cartridges. With German gunsmith Fred Adolph, he went on to engineer rifles. Smallest but perhaps best known of Newton’s rounds was the .22 Hi-Power, formed from .25-35 brass in 1905. It sent 70-gr. .228 bullets at 2,800 fps and built a bigger-than-life reputation on animals as formidable as tigers. More realistically, it proved deadly on deer. In 1912 Newton necked the .30-06 to .257 and called it the .25 Newton Special. His 7mm Special foreshadowed the .280 Remington by half a century. Also in 1912, he delivered to Savage a short, rimless .250 for the company’s 1899 lever rifle. Newton suggested a 100-gr. bullet. Savage hawked an 87-gr. missile at 3,000 fps and slipped the terrific speed into the name — .250-3000. Newton’s .22 Special on .30-40 Krag brass accelerated 68-gr. bullets to nearly 3,300 fps. He fashioned his .22 Newton from the 7x57, driving a 90-gr. bullet at 3,100 fps from fast 1:8 rifling. His rimless .30 Newton — and subsequent .35 — presaged modern rimless magnums inspired by the .404 Jeffery. 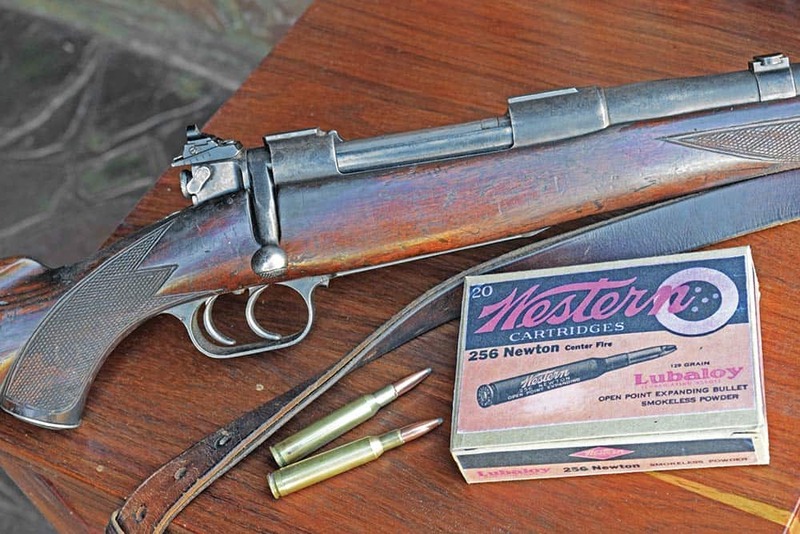 Dating to around 1910, the .30 and .35 Newton were loaded by Western into the late 1930s. The .256 was one of Newton’s most celebrated cartridges. Like the ballistically similar 6.5x55, it fired a .264 bullet, not a .257. He preferred it to the .25-06 partly because .25-06 chambers of that time varied in dimensions, and tight chambers hiked pressures. Secondly, Mauser produced 6.5mm barrels, and Newton was keen to produce rifles. Factory ammunition, loaded by Western Cartridge Co. until about 1938 hurled 129-gr. bullets at a claimed 2,760 fps while specs show Newton hulls just 0.1" shorter than the .270’s. Essentially a 6.5-06 with a tad less fuel, the .256 responds well to handloaders. With H4895, my friend Danny and I easily topped 2,900 fps with 129-gr. Hornady Spire Points. 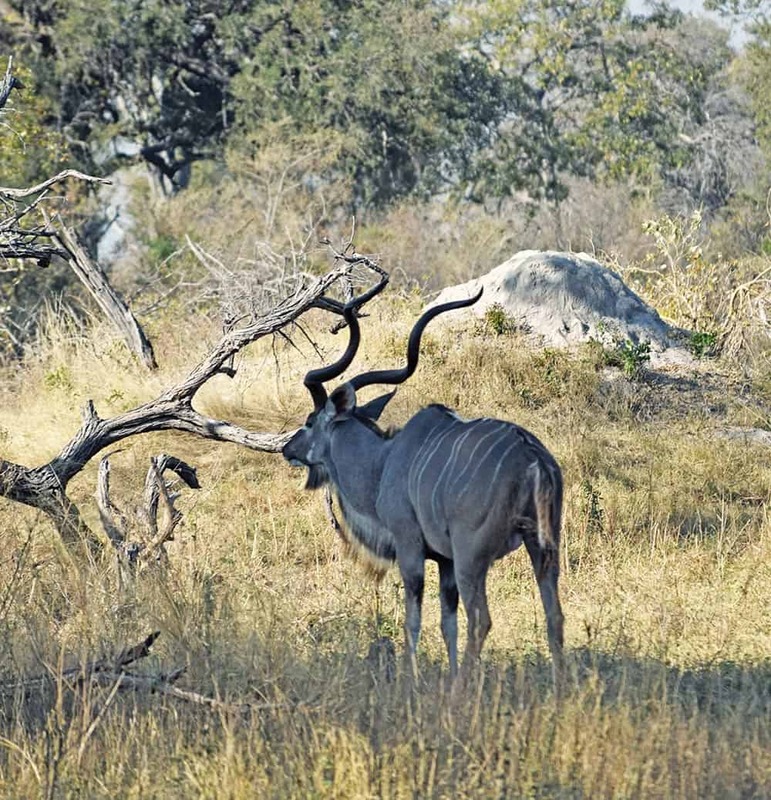 The .256 Newton may be elderly and considered commercially obsolescent but it’s adequate for kudu and other African plains game. 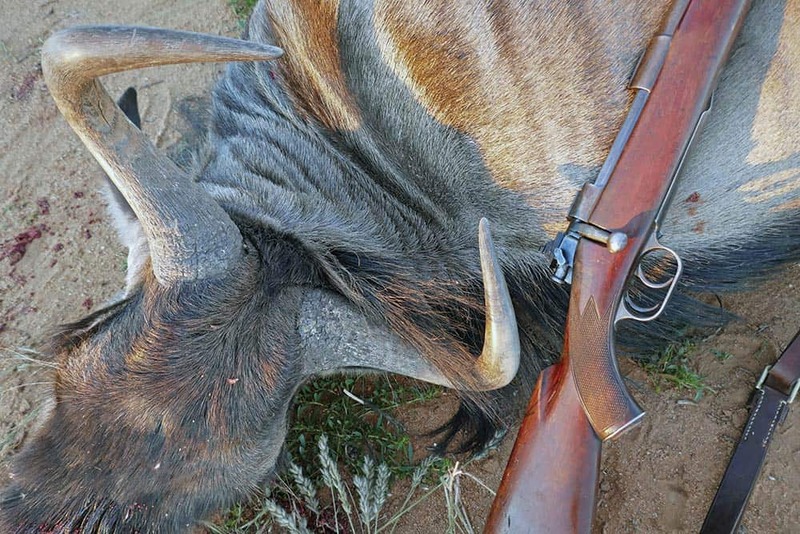 Wayne killed this blue wildebeest with one quartering shot through the lungs from the .256 Newton using a 129-gr. SP. On five safaris Tamar had used her two Kimber 84’s with deadly effect. Before this trip, she had again practiced faithfully on paper from hunting positions, now with the iron-sighted Newton. 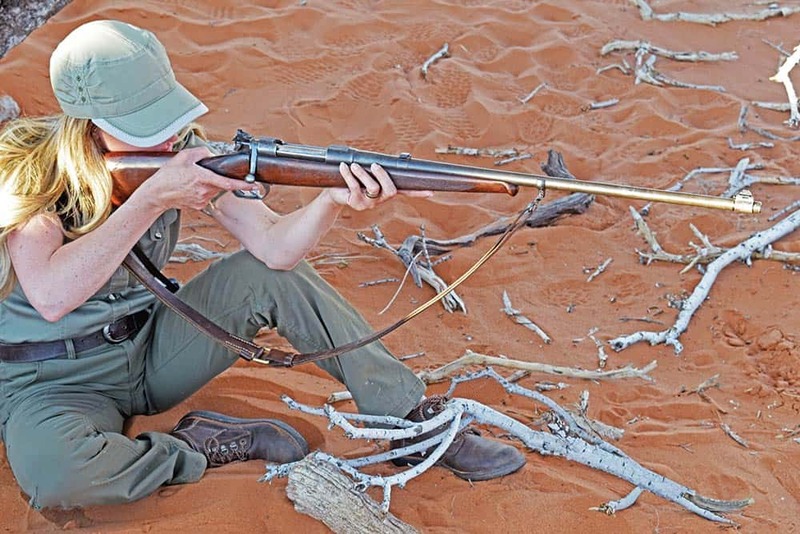 All three rifles suited her slender frame well — better than the relatively heavy scoped Sako. Each morning on safari, she trudged to the Land Cruiser with a rifle on each shoulder. I could see my odds of getting time with the .256 were sinking! The impala took Tamar’s Hornady quartering and it didn’t exit. Predictably, her Spire Points drove through both springbok. But I was surprised the lung shot that downed her blue wildebeest was also a pass-through. So much for the notion deer bullets from sub-.30’s fail on heavy plains game! A Williams aperture sight is the only non-original part on the Newton rifle Wayne used. Note the thumb-accessible safety placement. In 1914 Charles Newton formed the Newton Arms Company in Buffalo. He started work on a factory, then traveled to Germany to secure a supply of rifle actions from Mauser and J.P. Sauer & Sohn. In March, 1915, the first Newton rifles appeared in a catalog, with stocks by Fred Adolph and Californian Ludwig Wundhammer. In three grades, and chambered to .256, .30 and .35 Newton, the rifles were priced from $42.50 to $80. Alas, Newton’s timing could hardly have been worse! The first two dozen Mauser rifles were to arrive August 15, 1914. Germany went to war the day before. 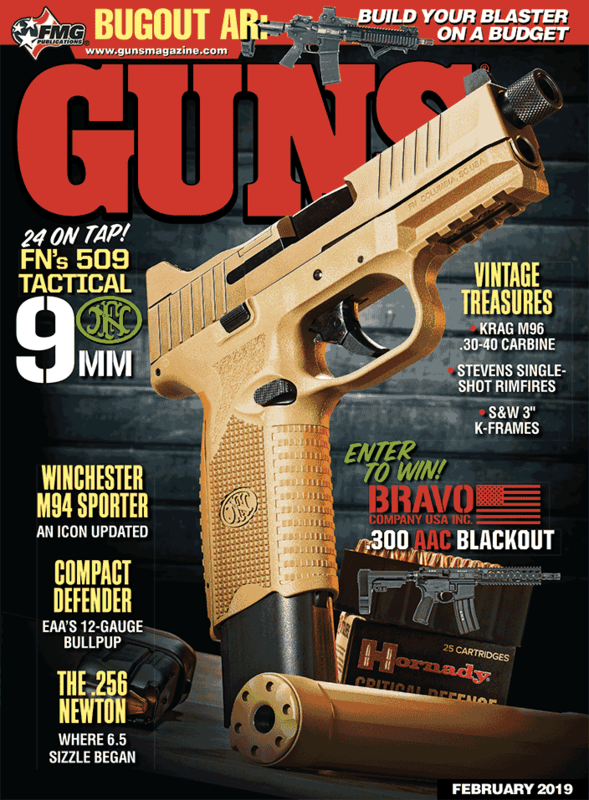 So Newton turned to the Marlin Firearms Company for .256 barrels threaded for 1903 Springfields. He’d sell them for $12.50 to hunters pining for something other than a .30-06. Unfortunately, all arms factories were up to their ears in government contracts. But by 1916, Newton had incorporated Mauser and Springfield features into a new rifle and hired ace barrel-maker Harry Pope to oversee production of Newton barrels with segmented rifling. The first of Newton’s new rifles went to market January 1, 1917. Again war interfered. The U.S. entered the conflict April 6, the government taking control of all ammo production. While Newton loaded his own cartridges, Remington furnished cases. In the absence of ammunition, rifle sales tanked. After about 2,400 rifles, Newton Arms Company went into receivership. Another 1,600 rifles were finished by the new owner, Bert Holmes, who sold more than 1,000 for $5 each. Marshaling his assets, Newton launched the Chas. Newton Rifle Corporation April 19, 1919. His plan was to equip the new factory with surplus tooling from Eddystone Arsenal. That deal crumbled. Then, in 1923, with two financiers aboard, Newton formed the Buffalo Newton Rifle Corporation. Its first rifles shipped the next year from its adopted home, New Haven. They had interrupted-thread lock-up and four-groove nickel-steel barrels in .256, .280, .30 and .35 Newton, plus .30-06. With only a crossbolt behind the box to arrest recoil, many stocks split. In 1929, after producing 1,500 rifles, the Buffalo Newton Rifle Corporation folded. But Newton dusted himself off and announced the Newton Straight Pull Rifle. It had a Springfield-type bolt and features from the straight-pull Lee Navy and Winchester lever-actions. He re-named it the “Leverbolt,” turning again to Marlin for help starting production. But Newton couldn’t provide proof of consumer demand, and his irrepressible spirit succumbed at last to the Depression. He died, age 62, in New Haven on March 9, 1932. Newton pre-dated Weatherby! Interrupted-thread lugs peek from between bolt body and extractor. Newton high-octane cartridges paved the path for short belted magnums arriving in the wake of WWII. They inspired other developments too. 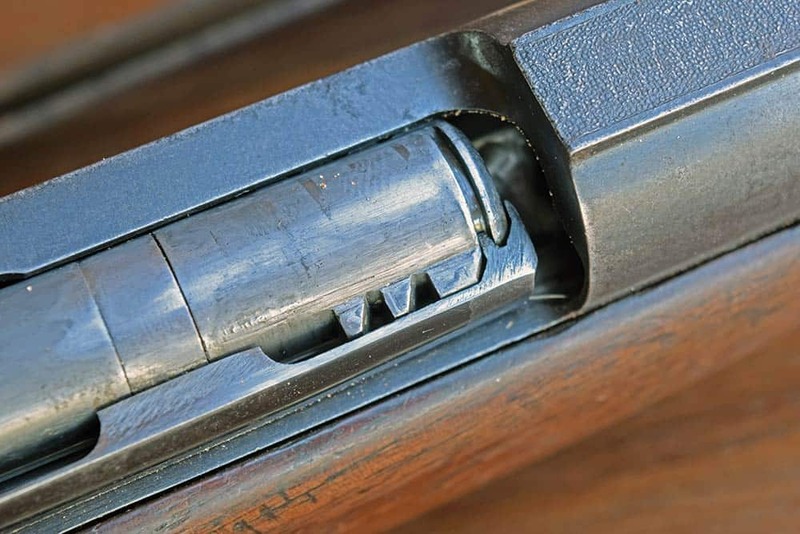 While the .25-06 is commonly credited to Neidner, it may have appeared on Newton’s bench first. A generation before Roy Weatherby, Newton sent game bullets at over 3,000 fps. His interrupted-thread locking lugs predated the Weatherby Mark V bolt by 30 years. His three-position safety arrived 20 years before Winchester’s. Newton fashioned a partitioned bullet in 1915, when John Nosler was two years old. Highly acclaimed as a better, more modern design, the phenomenally successful 6.5 Creedmoor is the .256 Newton’s ballistic twin. From left: 6.5 Creedmoor, .260 Remington, 6.5-284, .264 Winchester Magnum, .26 Nosler, 6.5-300 Weatherby Magnum — all current factory loads. In Newton’s day, most 6.5’s began life as mililtary rounds. I think Charles Newton would’ve been pleased.